Beautiful nails start with taking care of your cuticles. The oil-free formula absorbs quickly. Contains vitamin E and B5. Apply daily to cuticles to treat dry cuticles or hard skin around the nails. Allow to absorb for 2 minutes. Massage the excess balsam into the cuticles until all is absorbed. The oil free formula allows quick application of nail polish. 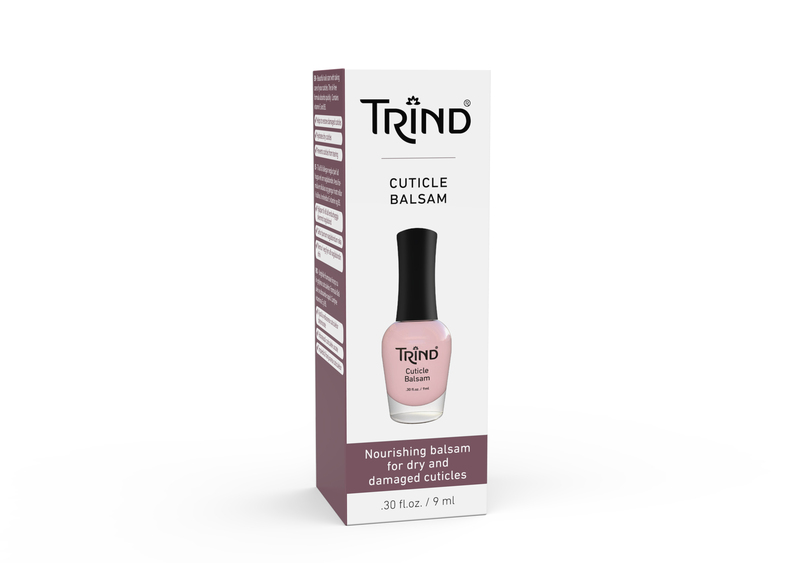 TRIND Cuticle Balsam is perfectly suitable to use as often as you like to keep your cuticles in excellent condition. After use, clean the rim of the bottle.